This is one of those plants described as 'variable'. 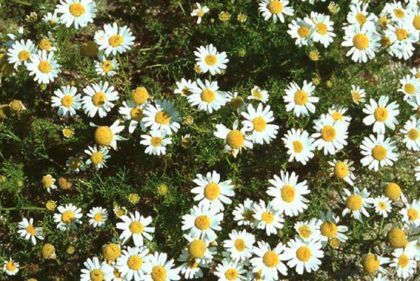 It's to be found mainly growing on shingle and waste ground in coastal areas and is a very pretty sight from April to October with its lovely daisy-flowers. 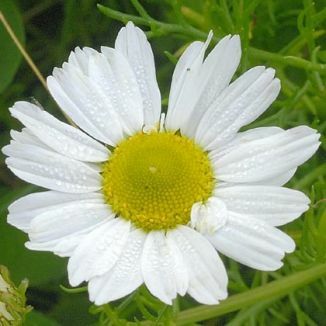 The 20-40mm flowers have yellow centres (disc florets) and white petals (ray florets). The fleshy leaves are also very pretty; they are cut into numerous pinnate divisions. This is one of our native coastal plants and belongs to the family Asteraceae. I first identified this plant in Co Kerry in 1977 and photographed it near Cullenstown, Co Wexford in 2006.